De Beers, the world's top diamond producer by value, is beginning to feel the impact of India’s recent decision to pull 500- and 1,000-rupee bills from circulation, as part of Prime Minister Narendra Modi’s campaign against corruption. Roughly 14 out of every 15 diamonds mined worldwide are cut and polished in India by players who normally pay for their rocks upfront and sell on credit. With Modi’s notes withdrawal, that link in the industry is getting weaker and De Beers’ latest diamond sale reflected just that. About 90% of the world's diamonds are cut and polished in India by players who usually pay upfront and sell on credit. With Modi’s notes withdrawal, that link in the industry is getting weaker. The miner, a division of Anglo American (LON:AAL), sold $418 million of diamonds in its 10th cycle, compared with $476 million at its previous offering. The figure was still better than during the commodities slump of a year ago, when sales for the same period totalled only $248 million, De Beers said in a statement. Russia’s Alrosa (MCX:ALRS), which together with De Beers controls almost two-thirds of the diamond market, also said earlier this month that its latest sales were hurt by India’s crackdown on black money. 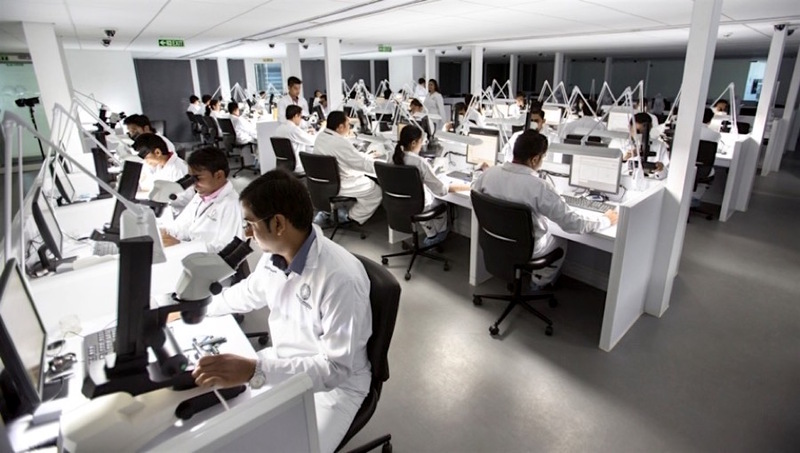 About 90% of the global rough diamond supply is cut and polished in India, with the sector employing around 800,000 people in highly-skilled jobs. The country is the third-largest diamond jewellery market behind the US and China, accounting for about 8% of global demand.